Will the Polar Vortex ever end? YES! Celebrate spring at the Spring Fling Tennis and Social Party. Indoors, to be safe, on March 29 at InnerCity Tennis. Just $15 for lots of tennis, snacks, and chance to meet new people. Bring a guest – if that guest signs up for Senior Tennis membership at the event, admission free for the guest. The Jack Dow is our big tournament of the year, honoring our founder. Events include Men’s, Women’s, and Mixed Doubles, skill levels 2.5-4.0. Just $15 per event guarantees you at least 3 regular sets or two pro sets. Nourishing snacks and opportunity to meet other players at your skill level – like last year, each round-robin group will have its own table to organize and socialize. You play “at or above" your skill level as shown in the March, 2014 Roster. 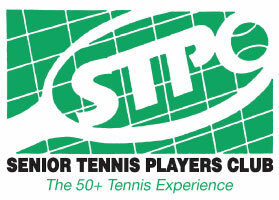 STPC suggests that stronger 3.5 players, including 2013 winners and runners up, consider playing at the 4.0 level. Playing up a level will result in better games and will perhaps improve your play through stretching yourself. Find a partner and get signed up now! Save the date! Look for more information and signup in the April Newsletter. Senior Tennis will have a new website, going live August 1. 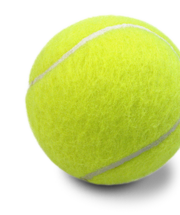 We want this to be appealing to people cruising the web looking for tennis opportunities. As such we need photos, with the names of those in the picture – please send to David Sommer. We also need testimonials of the fun and benefits of STPC. Questions, call David 612-276-1313. We have special deals for our members to participate in joint membership programs with Life Time Fitness at their Bloomington South Club (98th St) or at their White Bear Lake Club.